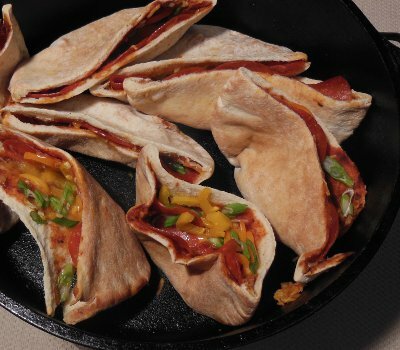 Cut each pita bread in half to form two pockets and spoon pizza sauce into pocket spreading it evenly. Use precooked meat since you are just heating it up. Let me know how you enjoyed your Pocket Pizza!